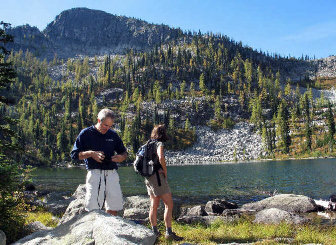 Tue., Dec. 22, 2015, 7:01 a.m.
TRAILS – Idaho Trails Association is offering an incentive for its membership through December: New and renewing members will be given a chance to win a guided day trip for up to 4 people with the Sawtooth Mountain Guides out of Stanley, ID, valued at $760. In addition, the first 50 people who sign up at the $50 level will receive a 2016 Idaho Wilderness Calendar published by Idaho author, Scott Marchant. The ITA works on several levels to improve public lands hiking trails, including advocacy, trail construction and maintenance. The efforts are accomplished through partnerships and volunteers, organizers say. During 2015, the ITA led three trail maintenance projects in North Idaho to clear or refurbish popular routes near Coeur d’Alene, Sandpoint and Bonners Ferry. Information on joining ITA is online. Sign up through the membership link.